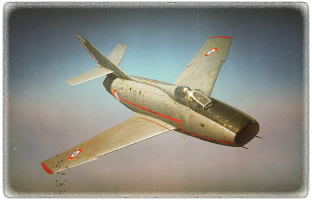 This page is about the French jet fighter Super Mystere B2. For other uses, see Mystere (Family). The Super Mystere B2 is a rank VI French jet fighter with a battle rating of 9.0 (AB/RB/SB). It was introduced in Update 1.87 "Locked On". The Super Mystère was the final aircraft of the Mystère family of jet fighters, whose development history began with the creation of the Dassault Ouragan in the late 1940s. Featuring a modified design over the preceding Mystère 4 and being fitted with the new Rolls-Royce Avon afterburning turbojet engine, the resulting Super Mystère B.1 prototype became the first French supersonic jet fighter after conducting its maiden flight in March 1955. Following the successful maiden flight of the prototype of the Super Mystère, a more refined production version of the machine was created shortly afterwards. Known as the Super Mystère B.2, the production version of the aircraft featured the SNECMA Atar 101G engine, compared to the Rolls-Royce Avon found on the prototype. The Super Mystère B.2 entered production in 1956, with an initial contract for 150 aircraft being signed. By the end of production in 1959, around 180 Super Mystère B.2s were built out of a planned 370 units. 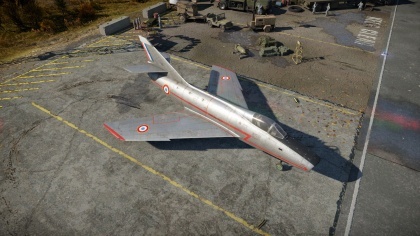 Entering service with the French Air Force in 1957, the Super Mystère B.2 served with French units for a good two decades before being replaced by newer and more advanced machines. Apart from its own forces, the Super Mystère B.2 was also exported and used by foreign operators. Most notably, Israel fielded some 24 Super Mystères, which had successfully proven themselves in action during the Six-Day and Yom-Kippur wars. As the Super Mystère was slowly being phased out of French and Israeli service, Israel sold around a dozen of its Super Mystères to Honduras. In service with Honduras, the Super Mystères undertook their final missions as part of actions against Nicaraguan forces during border skirmishes before being ultimately decommissioned in 1996.